Most people think of car insurance as only protection against collisions and liability claims. However, comprehensive coverage pays for claims resulting from non-accident related claims. When buying comprehensive coverage, be sure to speak to your broker at Tegner-Miller Insurance Brokers about your particular situation. For example, if you have an older or previously damaged car, when you evaluate the cost of the comprehensive coverage as well as the deductible amount you might not want comprehensive coverage. Storms and Natural Disasters: In Southern California, this generally means earthquakes and wildfires, but if the damage is caused by other calamities, like flooding, strong winds and hail and you have comprehensive coverage you will be covered (less your deductible). Vandalism: Nothing aggravates a car owner more than a keyed car. 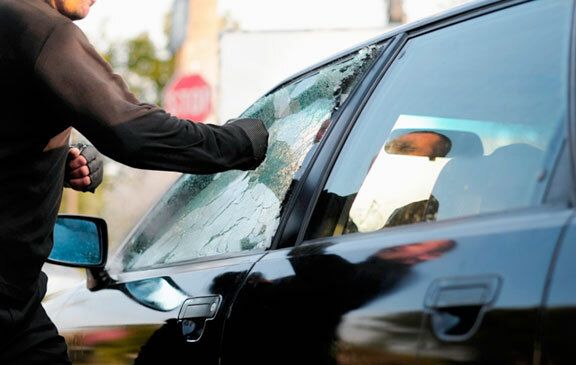 While you might not be able to prevent vandals from scratching your paint or breaking your windows at least this damage would be covered under the comprehensive portion of your policy (less the deductible). Theft: Comprehensive auto insurance covers not only the cost of the stolen car (less the deductible), but also may include coverage for items permanently attached to your car, like stereos or GPS systems. Please call TMIB, (310) 828-9662, if you have any questions regarding comprehensive coverage on your automobile policy.